Nothing but superior care for your car. retail price on wiper blades and cabin air filters with the purchase of The Works service package. Looking for fast and easy service you can count on? Come meet the team at Athens Ford, and see what we’re all about. 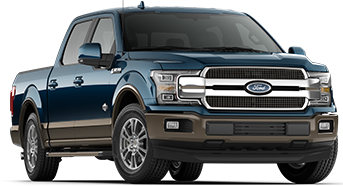 Ford uses the best in technology to make the safest possible cars, and you’ll find those principles are just as important to our service center. From our online appointment service to our tools, you’ll find nothing but the smartest possible ways to tackle your car’s problems. We go the extra mile to keep you satisfied at Athens Ford. Don’t love talking on the phone? We’re happy to send you a text about what your car needs or once we’re done with the repairs. Pay with your phone or online, so you don’t have to wait in line with your credit card in-hand. Does Your Car Have a Safety Recall? Recalls have been in the news a lot lately. We know you have questions about the effect of these recalls on the safety of you and your passengers. We can't service every vehicle with an open recall, but we can alert you if your vehicle has one. Find out if your car is affected.